It’s a small world. You head out into Sydney’s beating heart on a Winx-related mission and find yourself talking to the godfather of Harry Whittington’s wife. The gentleman in question, James Charles, is an Englishman who has lived in Australia for eight years. Right now he is strolling along Circular Quay, the Opera House and Harbour Bridge both within sight. Much further away is Warwick, where the Whittington-trained Djin Conti won James a few dollars on Wednesday. “I don’t follow racing myself but my goddaughter Alice is married to a racehorse trainer in the Lambourn hills, and I had a nice win on one of his horses yesterday,” says the friendly expat, who, although not an aficionado of the turf, does know about Australia’s leading lady. 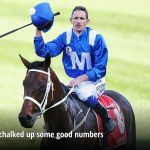 Any Australian who has been watching television news bulletins or read a newspaper will be well aware of Winx. In the countdown to her Randwick swansong she has been on one front page after another. She is also elegantly plastered in mural form across a wall on Sydney’s Wynyard Street and features in videos being shown on numerous screens in the city’s railway stations. 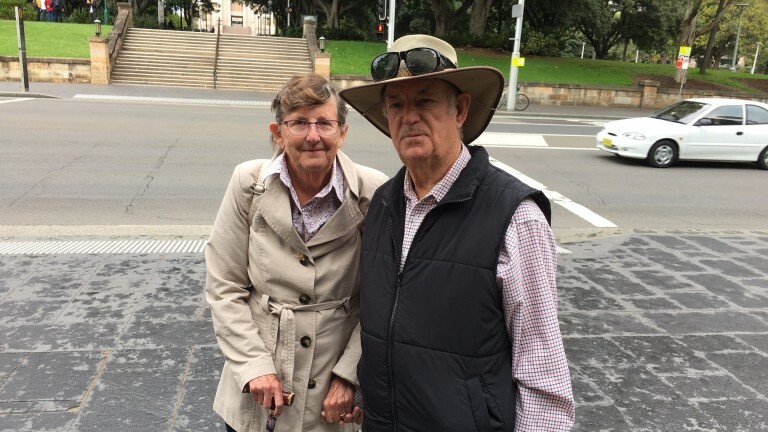 Winx’s races have been watched on a screen in New Jersey by Bob and Rita Kasinow, here after winning a competition whose first prize was an all-expenses paid trip to Australia for Winx’s racing finale. “We’re very excited,” says Rita, who is struggling to cope with her current time zone and went to bed last night at 6pm. 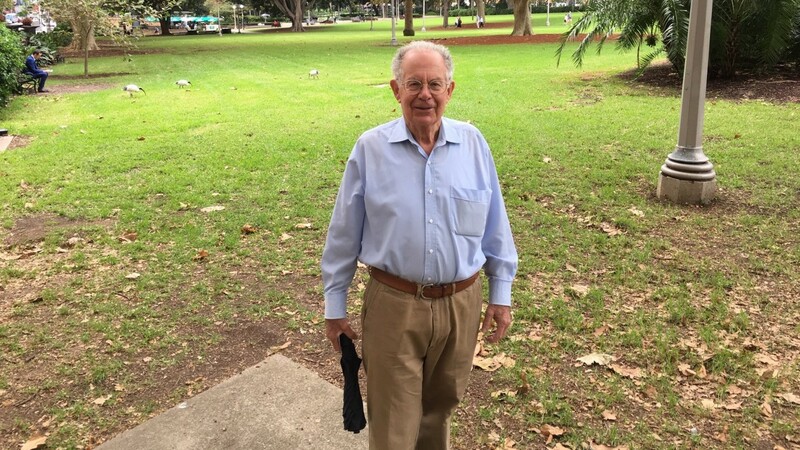 “I’ve been an avid horseracing fan since I was a little boy and have been following Winx from a distance,” says Bob. The Kasinows are now excited about the upcoming very big day. A rather awesome day was recently enjoyed by Tim, a man with an English accent and a large hat, who is walking underneath the hat and alongside his wife Jeanette. She doesn’t have a hat. “Tim turned 80 last Sunday,” says Jeanette as the pair enjoy their final morning in Sydney before returning home to the Bush. Having once resided in Leighton Buzzard, Tim can truly say he says he has seen it all, or at least the Leighton Buzzard and bushy bits. Asked for some Winx insight, he sadly comes up short. “A horse eats through its mouth and excretes through its tail, that’s all I know,” he says, which leads to an intervention from Jeanette. “He’s a Pom, I’m an Aussie, ask me,” she says, so I ask her. 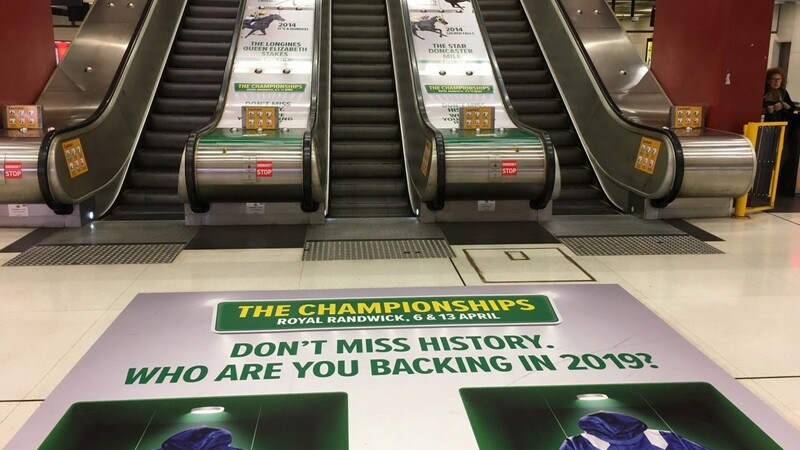 Rather fortunately, a friendly bloke is walking along Elizabeth Street by Hyde Park, which in 1810 became Sydney’s first racecourse. “She is going for her 33rd straight win this weekend and then she retires,” says Ron White. 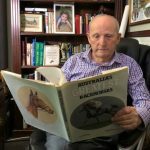 Warming to his theme, Ron adds: “It has been pretty difficult not to follow Winx’s story. She has been big news every few weeks every year. Sadly Ron has missed his chance. 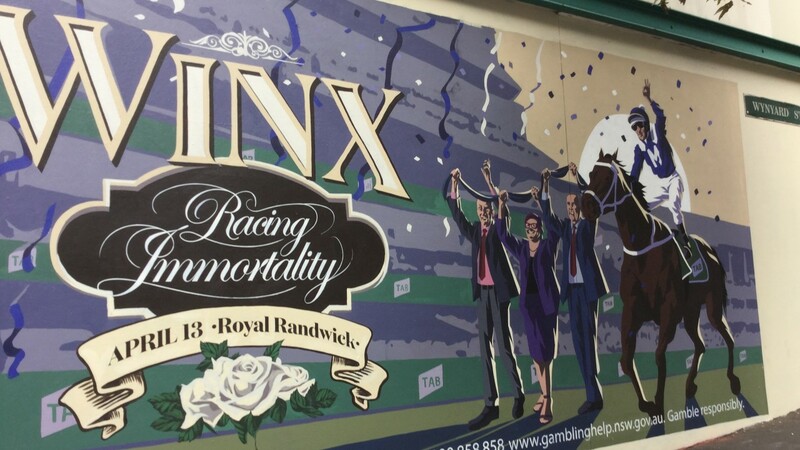 Randwick is sold out for the first time in years. The people of Sydney are off to salute their sweetheart.